Clients are becoming more educated than any previous generation about skin health, and an important part of that education is sun protection. Although it is often assumed that everyone proactively protects their skin from ultraviolet (UV) exposure, unfortunately that is not always the case. And while most clients believe daily sunscreen is important, many women do not begin using it until after age 25, long after significant damage has been done. The question remains—why is sunscreen still being side-stepped? Daily skin care regimens should include a minimum of SPF 30, but this requires diligence. With a direct line to the client, professional skin therapists have the responsibility to educate the individuals that they treat on the benefits of proper sunscreen usage. Outlined below is a list of reasons used by clients to avoid sunscreen usage, accompanied by supporting education for an informed response by the skin care professional. With this particular complaint, it is imperative to check what type of UV filter is incorporated in the sunscreen that the client is using or has used. Identify if the UV filter—listed in the “Active Ingredients” portion of the sunscreen label—is chemical or physical, as this simple step can make all the difference in how their skin is reacting to the product. Titanium dioxide and zinc oxide are physical UV filters that reflect or scatter UV radiation. They are generally non-irritating and are ideal for sensitive skin; however, these UV filters are often accompanied by a greasy feel. Conversely, chemical sunscreens such as oxybenzone, avobenzone and octocrylene, absorb UV radiation and release energy as heat. This type of sunscreen may irritate the skin at higher concentrations (higher SPF), thus the client complaints of irritation. A current technology involving plant oleosomes has enabled the creation of high SPF sunscreens without a greasy skin feel or irritation. Oleosomes are naturally occurring spheres of emollient oils and vitamin E found in oil-bearing plant seeds of crops such as safflower, sunflower and almond. This sophisticated ingredient can literally boost the level of SPF and reduce the chance of sensitivity—all without unwanted chalkiness or oiliness. Look for the plant’s Latin name followed by “oleosome” on the ingredient label, i.e. Carthamus tinctorius (safflower) oleosomes in the case of safflower. It is also important that clients are using broad-spectrum sunscreen products, meaning they protect from both UVA and UVB rays. Also, antioxidants such as grape seed extract, green tea and vitamin C and E can add an additional layer of protection to help fight against free-radical damage. Take this opportunity to advise the client not only how to choose a daily defense strategy that works for their skin, but one that also fits into a busy schedule. Many moisturizers have the SPF included, an easy way to hydrate, protect against UV damage and deliver skin health benefits in just one product. Often clients do not match their skin care product to their skin type, and they stop searching for the right product out of frustration or unhappiness. The good news is that many useful options are available, including sun protection products for aging, sensitized and even oily skin types. For the client who is always “crazy-busy,” mix sunscreen into a favorite moisturizer. Remember this can lower the SPF, so start with a higher number such as SPF 50. Tinted moisturizers with an SPF provide UV protection with a wash of color and a lightweight feel. This is an option for clients who typically do not wear makeup, or who are in a rush. Fearing breakouts, oily skin clients tend to shy away from regular SPF usage. Recommend an oil-free sunscreen that prevents shine on oily and acneic skin, with ingredients such as niacinamide and yeast extract. For sensitized and reactive skin, opt for a physical sunscreen (titanium dioxide and zinc oxide) to keep the heat off the skin. Most clients associate sunscreen usage with the outdoors, oftentime applying it only during the summer months or while on vacation. UVA accounts for up to 95% of the UV radiation reaching the Earth’s surface. It is 30–50 times more prevalent than UVB radiation, with the ability to penetrate glass. Although UVB, the chief cause of skin reddening and sunburn, can be blocked by glass, it can still damage the skin, especially on reflective surfaces such as snow, ice, water, sand and concrete. UV rays literally bounce back, reaching the skin twice. Even though temperatures may drop and skies become cloudy, the amount of UV that reaches the Earth remains the same all year, regardless of the weather. Photo or UV radiation damage is still possible even sitting by a window at work, home or in a long commute during daylight hours via car, train or bus. With this in mind, the face and the hands need to be protected at all times. Cosmetics with SPF ingredients can provide some protection, but makeup alone is not enough. Share techniques for application and layering with clients to help them get the most protection. Advise the client that cosmetics should not be used as the sole sunscreen component in their daily regimen, because makeup easily wears off during the day from sweating, oils or from touching the face. A better recommendation would be to first apply a moisturizer with an SPF 30 under the makeup. If their makeup contains sunscreen, it can act as the second line of defense. While this may seem like overkill, most people do not apply sunscreen properly in the recommended amount. A teaspoon should be applied evenly to the face and neck. Another option to increase the effective wear of SPF-spiked makeup would be to use a primer over the moisturizer that contains sunscreen. Look for a primer that not only preps the skin for makeup application, but also helps to enhance skin tone and luminosity while treating the signs of aging. Ingredients such as hydrolyzed pearl powder, age-fighting peptides and natural humectants help minimize fine lines, all while leaving the skin flawless and protected. Do not forget the lips, as they contain almost no melanin, and wearing a lip gloss in direct sun may actually intensify the burn. The delicate tissue around the eyes is also susceptible to sun damage. Recommend a protective lip balm and an eye cream, both with at least an SPF 15. It is never too late to prevent tomorrow’s damage today. And effectively meeting and diffusing objections to client’s resistance to sun protection may be the single most helpful change that you as a professional skin therapist can initiate. 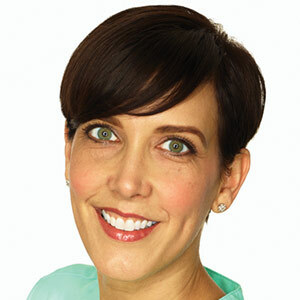 Beth Bialko, global education developer and master instructor for The International Dermal Institute and Dermalogica, has more than 14 years of experience in the skin care industry. She is responsible to researching and developing education curriculum for U.S. and international markets, as well as assisting with product and protocol development. Pick the right shades. Avoid metal frames that can reflect more light onto the tops of the cheeks and nose. 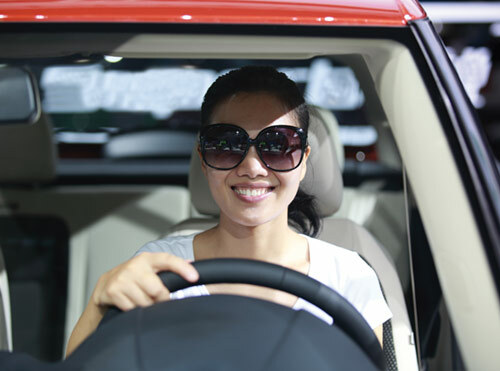 Large plastic frames with UVA/UVB blocking lenses are ideal. Cover up and touch up. For busy working clients, reapplying sunscreen during the day might not be an option. Suggest a wide-brimmed hat when headed outside or touching up makeup with a SPF 20+ infused mineral powder. Avoid fragrance. Perfume, cologne and heavily fragranced cosmetic products can increase photosensitivity and hyperpigmentation. Apply only to areas not exposed to UV radiation. Watch your head. Apply sunscreen to the ears, hairline and the scalp, or grab a hat if on the go. Check expiration dates. Sunscreens expire generally after one year, when the formula’s UV filters and their efficacy breaks down. Be wary of buying the family size sunscreens, as product may be wasted if it is tossed yearly.